Anywhere, Anytime Access. No need to have your accountant come to you when you have questions or need problems fixed, everything can be done remotely. And it doesn’t matter whether you have a Mac or PC! Access your books on any web-enabled device. Easy Invoicing & Instant Payments. Invoices can be created directly in QBO, sent to customers, and paid with a credit card, debit card or bank transfer right from the invoice. Improving cash flow is always a plus! Little or No Capital Expenditure. QuickBooks online is a monthly subscription that we offer at wholesale prices. No more Servers, no more Upgrades. You always have the most current version at your fingertips. Application Integration. 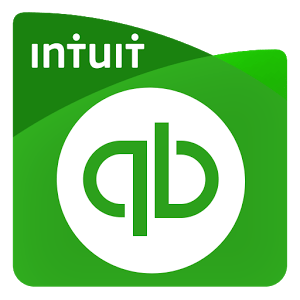 QuickBooks online can be integrated with all kinds of apps! Our team is structured so that you have access to at least three people at all times. We care about our clients and want to provide the best service possible. Services start with an introductory meeting or phone call. Each client is provided with a proposal for bookkeeping services with the scope of services outlined. Once an agreement is signed, we get to work! Efficient. We get started with your books immediately and our onboarding process streamlines all of the information we need from you, so you can get back to working on your business. Concentrate your time on doing what you love, while we handle the books. Have peace of mind knowing your finances are current, accurate and in order. Give us a call, or send an email to find out how we can help. Use something other than QBO? Drop us a line. We are connected with the best contract bookkeepers in town!